The group is known for their musical hits and their strong support for immigrant, environmental and human rights causes. 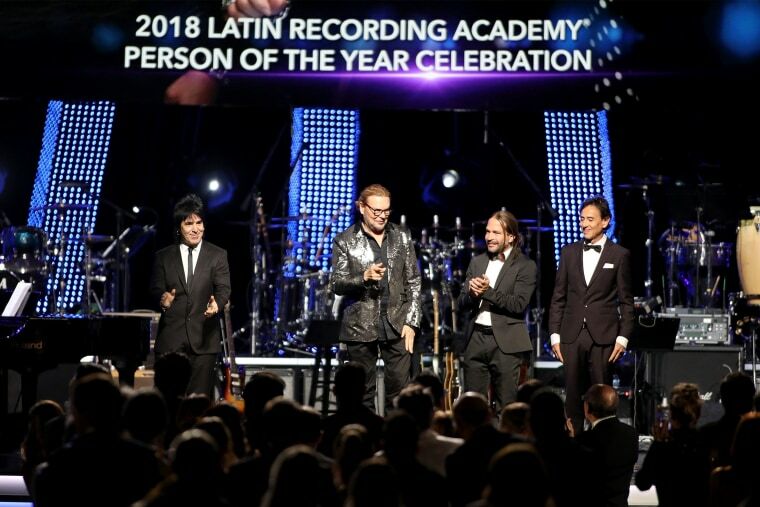 LAS VEGAS — Mexican rock band Maná became the first group ever to be honored as the Latin Recording Academy’s Person of the Year Wednesday, when its four members were recognized during a star-studded tribute concert for their creative accomplishments and philanthropic efforts. Mana has won six Latin Grammys and four Grammys and has released more than 48 No. 1 hits worldwide. The group has a star on the Hollywood Walk of Fame.